I’d like to give you a preview of the new Bawaiian Short we’ll be releasing soon. The one shown above is in the dark indigo floral print, and the fabric is really beautiful in person. Click the link to download the .AI file, and you’ll find it all set ups for use with a line art version, a solid color fill, and a colored up version that is like the one shown above. You may need to right-click or option-click and select "save as." Use it as a platform to create your own short design for the Betabrand Think Tank, for design school, your career, or personal development. If you find these flats useful, please let me know! I love seeing how people have used these in their work. It's the first Free Flat Friday of 2014! So this week, we're going back to the basics with a downloadable male croquis form for all you designers to use in your work. Download it for use when making flats in Illustrator, or print some out and trace over the top of them by hand; I'm sure you'll find tons of uses for these handy templates! 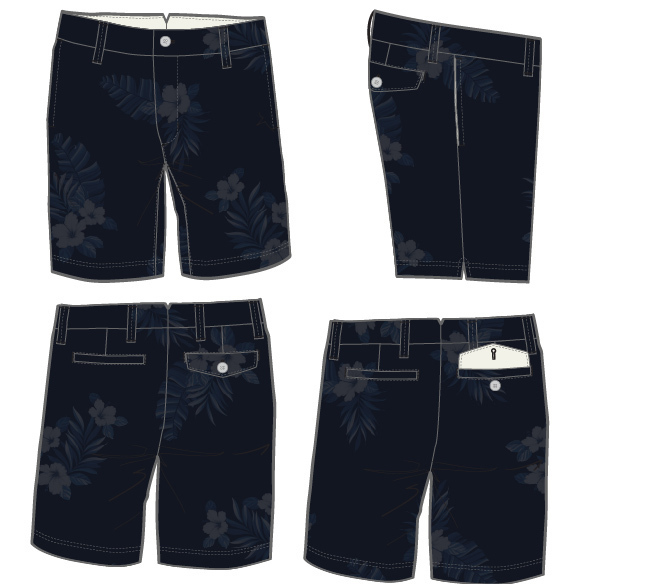 I use them in my work at Betabrand as an aid to rapid pencil sketches during initial design ideation, as well as creating new garment flats in Illustrator. These are provided to you, the readers of An Aetnian Fountain, for free. Use them in design classes, personal development, or even in your professional career. If you find these flats helpful, let me know by leaving a comment below or hit me up on twitter @stevenbwheeler. Happy Free Flat Friday! 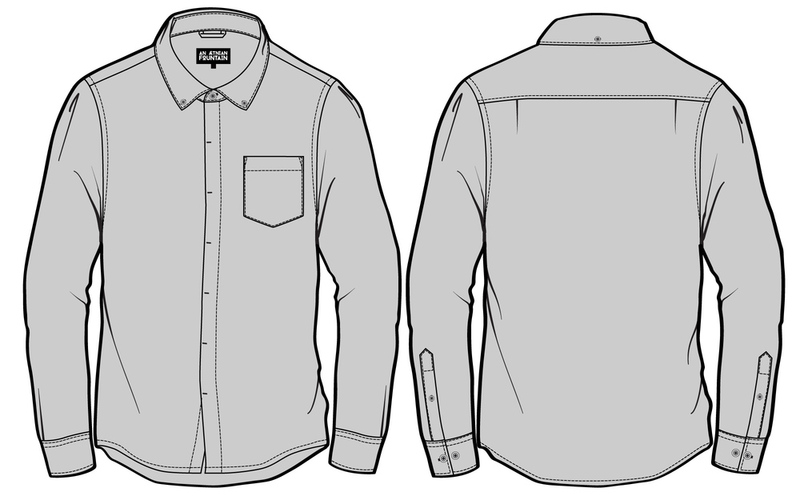 Each Friday, I upload a new Adobe Illustrator garment flat for the readers of Aetnian Fountain. The AI file (go snag the 30-day trial of Adobe Illustrator if you haven’t already) has two versions; one has a color fill (like the image above), and one is unfilled line art and is easier to edit. Click here to download the .AI file. Introducing Free Flat Friday! Each Friday, I will upload a new Adobe Illustrator garment flat for the readers of Aetnian Fountain. The AI file (go snag the 30-day trial of Adobe Illustrator if you haven’t already) has two versions; one has a color fill (like the image above), and one is unfilled line art and is easier to edit. Click here to download the .AI file.